Witches ride on brooms and wizards hold a staff in their hands. Nothing phallic about that. Eskarina “Esk” Smith was born the eighth son of the eighth son and was bequeathed Drum Billet’s wizarding abilities and staff. Minor mixup. Esk is a girl. But too late for any take-backs, Esk’s magical talents have her training with Granny Weatherwax in witching. This isn’t enough for Esk as she is meant to be a wizard, she has the staff and everything, so she journeys to the Unseen University for training. I’ve come at the Witches instalments of Discworld backward. 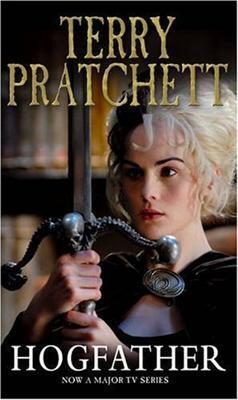 The first one I read was The Shepherd’s Crown, Pratchett’s last novel before his death, in which Granny Weatherwax dies. * So to come to the first was overdue. 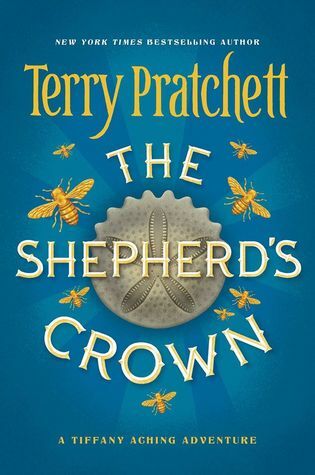 I was somewhat disappointed with The Shepherd’s Crown – probably because it was unfinished in terms of Pratchett’s usual revision process – but not so with Equal Rites. This was highly enjoyable and tackled some interesting tropes of fantasy, as well as plotting the rise of grrl power on the Disc. **Not that Sir Terry was a big fan of using chapters, but you take my meaning. Tiffany Aching has a lot on her plate. She is the witch of two areas, she has some big boots to fill after the passing of Granny Weatherwax, and trouble is brewing with the elves. The elves love a bit of mischief, and with the passing of Granny Weatherwax, the barrier between their world and the Disk is weaker. With iron and steam now coming to the lands, they want to strike before they lose a place on the Disk. Only the Witches and Nac Mac Feegles stand in their way. 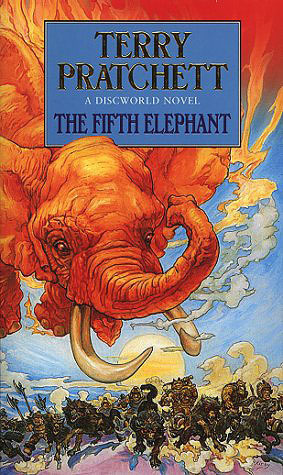 This was Terry Pratchett’s final instalment in The Discworld novels. There will be no more. As such, I really wanted this to be better than it was. 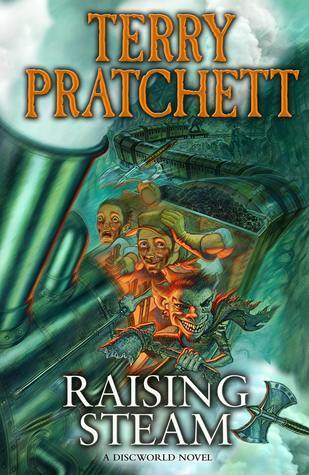 Unlike other novels in the series, this lacked the levels of humour and satire you would expect from Pratchett. Where he was normally brilliant, this was only okay. Of course, okay for a Pratchett novel is still better than most novelists could ever hope to achieve. 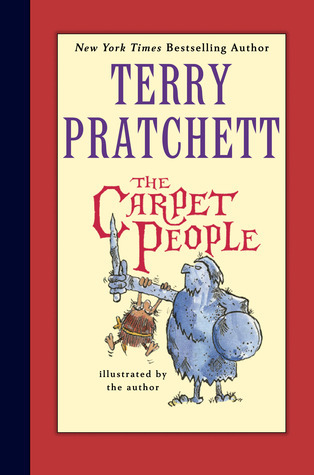 It has been a while since I journeyed from Roundworld to Discworld and with Sir Terry’s passing, it seemed like the right time. The trouble with picking a Discworld novel to read is which of the 41* to choose. I settled upon Raising Steam, the ode to the very British obsession with steam trains. Two things struck me when reading Raising Steam. First was that the TV miniseries adaptation of Going Postal was perfectly cast. 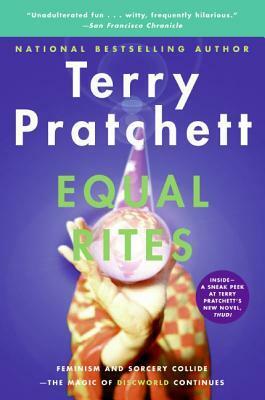 Reading I couldn’t help but see Charles Dance as Vetinari and Richard Coyle as Moist (Slightly Damp). This gives me great hope for the forthcoming adaptation of the best novel of all time, Good Omens. The second thing was that as a non-British person I feel like I’m missing many of the jokes. There are so many references throughout the novel that hint at jabs being taken at various cultures, peoples, politicians, and institutions. Some are obvious, like the French and Aussie ones, but others I’m guessing I’d have to have been to the UK to understand. 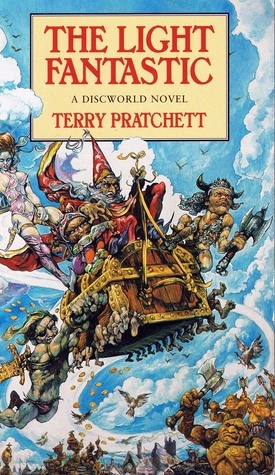 This is all another way of me saying that there is no such thing as a bad Discworld novel. Goodbye, Sir Terry, thanks for the legacy. *41 later in 2015, 40 as of this review’s writing.